Commander offers the finest cabin environment in its class. Its spacious interior rivals cabin class aircraft, offering ample space for the largest adults. This is because we approached the design of the Commander's cabin differently than our competitors. We designed the interior space of the cabin and cockpit first, using ergonomics to create an environment that conforms to human requirements. To accomplish this, we employed Dryfuss Charts, which utilize anthropometric data to match human characteristics to industrial design. The result is a cabin designed to provide unmatched comfort and ease of operation. Two large doors provide easy entry and exit. All controls are intelligently placed so they can be easily reached. Sight lines for the pilot and passengers are unobstructed in all quadrants. Head room, shoulder room, and leg room are optimized for larger adults. Commander seats rival those found in the largest corporate jets. They are wide, strong, and luxurious. Layers of variable density foam are ergonomically-designed to support your head, neck, back, and legs, reducing fatigue on even the longest flights. Steel seat frames are securely attached to the cabin structure, and track fore and aft for optimal positioning. All seats recline, and optional adjustable lumbar supports in the front seats provide additional comfort. Front seats provide automatic vertical and horizontal adjustment with seat position. Seat backs recline up to 30 degrees for optimum comfort. Each seat position is equipped with a stereo intercom system, overhead reading light, overhead fresh air vent and control, and a floor (heat) vent and control to suit individual tastes. The 22 cubic foot baggage compartment and large baggage door at waist height accommodates large luggage easily. 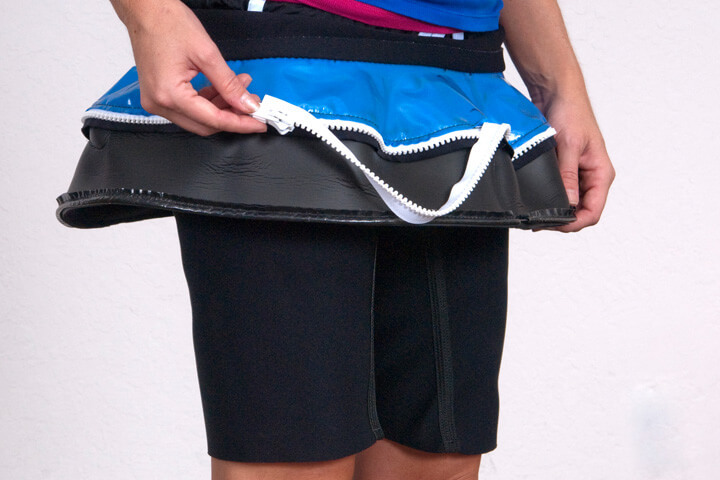 Matching the level of comfort and space is the remarkable level of noise suppression. Commander utilizes five layers of insulation and acoustical materials to reduce noise levels substantially, including acoustic foam, microlite, thermoplastic and rich pleated leather to suppress noise. ABS side and headliner panels retain their shape regardless of environmental conditions. Glove-soft leather, English wool, and deep-pile carpeting wrap you in unrivaled comfort. Cast aluminum control wheels and door handles offer solid feel and strength. In short, we use only the highest quality materials, and it shows. When you sit in other aircraft in this class, the difference in design philosophy is apparent. Their cabins are either much narrower or shorter, or a combination of both. There are blind spots where vision is greatly restricted. Controls are harder to reach and many times out of view. Seats are lower to the floor and contain less padding, increasing fatigue on even shorter flights. Baggage space is smaller and more difficult to reach. Noise levels are higher. Commander's attention to the many details of the human form translates into a cabin environment second to none. The aircraft cross-sections depict what a difference this makes when real people are actually seated in the aircraft. When you add it all up, the end result is an airplane that respects your physical and mental needs. In the real world, on flights of any length, you will see, hear, and feel the difference. Less fatigue allows you to be a better pilot, and gives your passengers the travel experience they deserve. For years, aircraft designers left one important element out of the equation when they developed new aircraft: the customer. In their quest for more "performance", they created aircraft with major compromises in areas that matter in the real world. 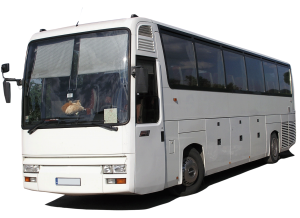 Areas like comfort, handling, visibility, operational simplicity, ergonomics, and serviceability. Commander set out with these attributes in mind. The end result is an aircraft designed for today's pilots, certified to higher standards with features that make your total flying experience a cut above. The Commander has the largest cabin in its class, able to carry four large adults in comfort and style. Its unique aerodynamic balance produces unmatched flying qualities. The "squared oval" cross-section, 47 inches wide by 49 inches high, provides maximum head and shoulder room for both front and rear seat passengers. Instrument panel layouts are professionally designed for individual aircraft. 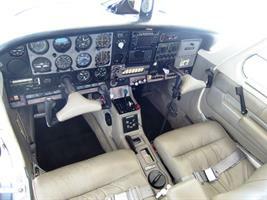 There is ample space to install avionics, including complete co-pilot instruments. The engine gauge cluster is front-mounted for easy access behind the panel. All switches and circuit breakers are grouped by function. Night lighting is provided by a variable intensity flood system. A powerful 28 volt, 80 amp electrical system provides Commander aircraft with capacity for the optional equipment of your choice. 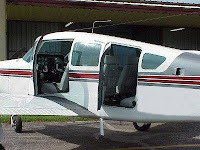 Commander aircraft have integral landing lights and wide angle taxi lights. They are equipped with triple strobe lights and dual vacuum pumps. Redundant systems such as dual controls, dual brakes, alternate static source, separate magnetos, dual trim actuators, and two cabin doors provide convenient access and an extra margin of safety. All are standard equipment on Commander aircraft. Commander's design philosophy is to create modern, straightforward, and reliable systems, reducing pilot workload while increasing peace of mind. This approach pays off every time you climb aboard. When you add it all up, the logic is compelling. Inside and out, the Commander is the better aircraft, by design. Thanks to Judi Anderson at Suncoast Aviation for her knowledge of the type and warm welcome to the world of Commanders. I have a feeling we'll be doing business in the new year. With my recovery in full ON mode and making good progress, my thoughts are turning to the sky. I'm not sure if and when I will fly again, but I have to admit I'm getting the itch. Mary and I understand that traveling by air on our own schedule was very special. The thought of not having that mode of transportation at our disposal saddens us both. 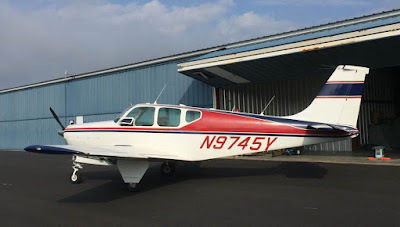 I have been surfing the web pages with aircraft for sale, working through what if scenarios and trying to figure out what would work for us IF we want to fly again. Mary has peeked over my shoulder while I was looking at a few Bonanzas and Deb's online and she commented on the nice paint and interiors. Her one common theme for each aircraft was, "where's the second door". I think me being stuck with the leg injury and needing assistance to exit the Deb has her wanting an easier way out for me. If I had a door on my side I could have pulled myself through it and drag the right leg with me. Instead I fought to move the leg and tried to crawl across the seats to get out. Thankfully I had help getting out and rolling me away from the plane. With the two door theme firmly implanted I have put together a list of aircraft to look into. Of course it has to be a low wing so that would keep the list short. 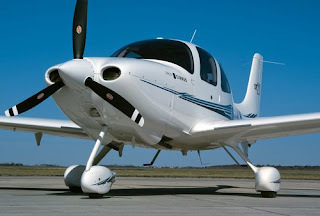 This is what I have come up with; Cirrus, Beech Sierra, Rockwell Commander 114. I gave some thought to Diamonds and Grumman Tigers, but ruled them both out. 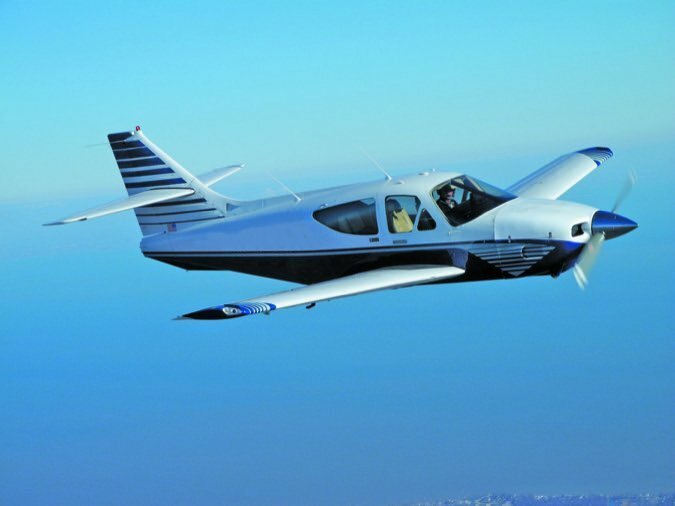 Taking a look at the Cirrus SR20 I find the price range for a 2000 anywhere from 114 to 145. Most need a chute repack in 2020 and some were pretty much timed out for engine. The Beech Sierra is what I would feel most comfortable in. A Sundowner with retract, a large huge baggage door and 200 HP. The prices are all over the place but affordable. 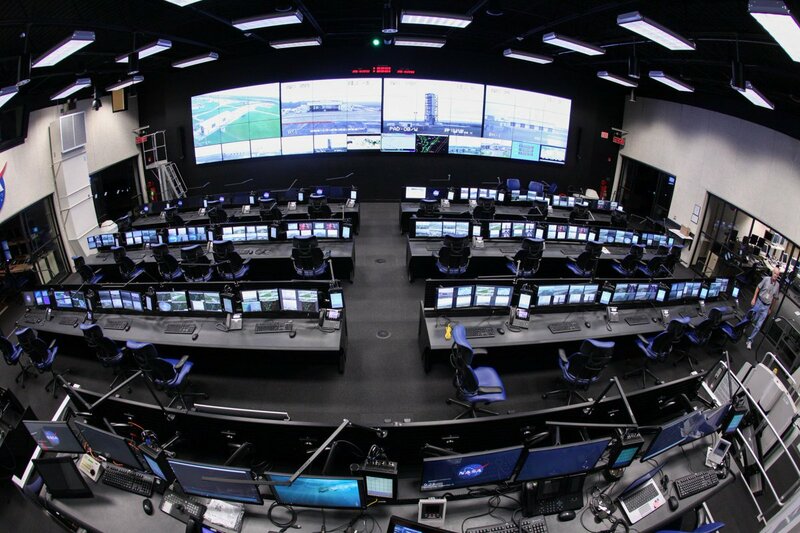 Most need the avionics($$$)updated and landing gear donuts ($5G). 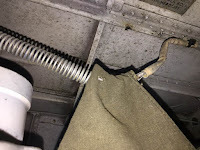 No telling what damage the dreaded black duct has left as far as corrosion on the wing spar. The last aircraft I have been looking at is the Rockwell Commander 114A. Most of the aircraft I have checked out online have good paint and interior and most seem to have a good avionics package. Engine times vary but is reflected in pricing. Two doors and a huge cabin are a plus. For now I just look. We are in the process of settling out with insurance on the Deb's Hull value and hope to have that done soon. I've put off closing while we waited for the engine teardown, the insurance company was great to deal with. We'll see if I say that when I need insurance on the next go round...yikes! Mary and I wish all of our readers a Merry Christmas and Happy New Year. Be safe, treasure your family time and make memories. January - Finally IFR current. I had let my currency lapse, first time since getting the rating. I also posted an introduction video for my YouTube channel. I decided to make more of an effort to post videos and up the quality with additional cameras and better editing. It's a work in progress. February - My first time to Republic Airport. I'm usually flying over long Island, not landing there. This trip I had a mission, helping an Ocean City hangar neighbor pick up his plane. March - Another new to me airport, 2W6 St. Mary's. A fun meet up with fellow BAC members to tour the Patuxent NAS and then lunch at Mission BBQ. April - Another bucket list place to visit, Magnolia Market in Waco, Texas. This has been on our list since we started watching the HGTV show Fixer Upper. A fun get-away to explore Waco, meet up with good friends and learn about the area. We added seven new airports and two new states on this trip. Mary finally convinced me that we needed a faster plane so we decided to sell Sundowner 08Romeo. Looking to the future we made a handshake deal on a 63 Debonair. May - 08Romeo flies west with her new family on Tuesday May 15th. Mary and I wish Peggy and Tim the very best. It's with a heavy hearts we say goodbye to our first magic carpet. 08Romeo has taught us many lessons about flying, ownership, and maintenance. I will carry these lessons forward and look back fondly on our baby Beech. Safe travels 08Romeo, enjoy your new home on the west coast. Mary and I seal the deal and purchase 45Yankee on Thursday May 17th. Insurance required five hours dual and five solo before I can carry passengers. I decided to rent a hotel room at the Hilton located in Christiana Delaware, just a short drive to the airport. I did a few days of transition training and then took 45Yankee home to Ocean City, KOXB, with my complex, high performance and BFR completed. June - Finally, the weather cooperates. For awhile here in Ocean City I thought we were going to trade the plane for an Ark. 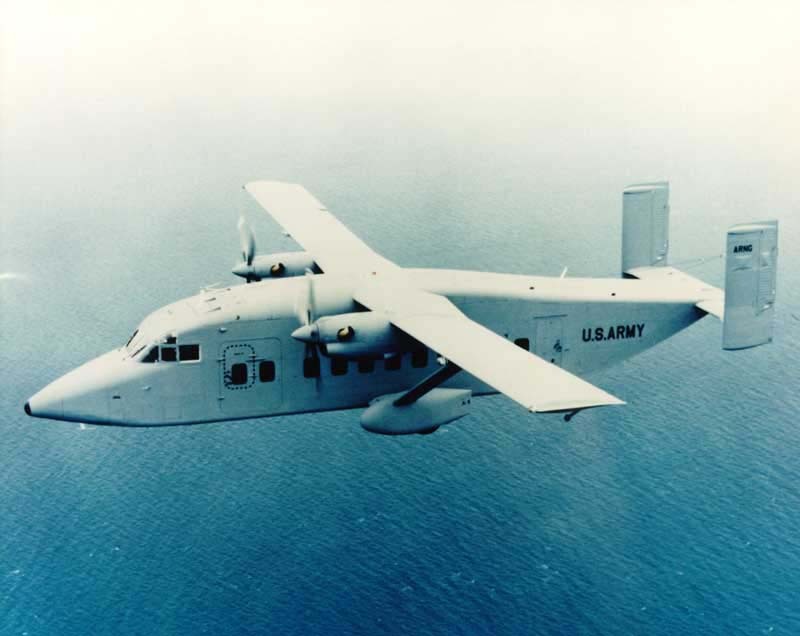 45Yankee finally gets some air time as I fly south to Coastal Carolina Regional Airport located in New Bern, North Carolina. This trip completed my requirement for five hours solo since I needed just over three more to finish up. Mary and I planned to head west to Tullahoma, TN on Friday, June, 29th. Our lives were changed forever. On departure we had a mechanical engine failure that resulted in making the impossible turn just barely possible. I turned back for the airport trying to make the cross runway 2-20 but could not keep the plane in the air. The plan was a straight ahead landing in a pre-determined spot, however I could not see the spot without lowering the nose and I wasn't about to trade altitude at that point. 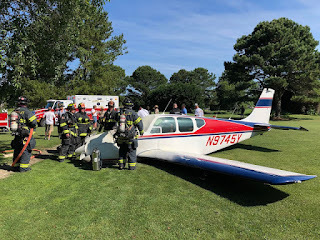 My plan B was a golf course just south of the airport where I made an emergency landing, gear up, and bellied it in on a fairway. If you follow the blog you have read about the medical troubles Mary and I have been through. We deeply appreciate the thoughts and prayers for our recovery. The healing slowly continues. Recovery and more surgeries fill out July and into late August. With the third and final surgery complete I am gradually making progress and getting back to weight bearing status, recovery has been physically and emotionally taxing. On September 12th I finally received some positive news. I was once again moving to a weight bearing status. September closes out with my first return to the airport and hangar. 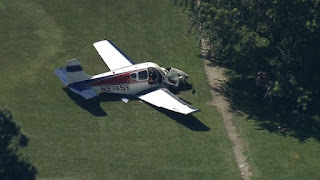 Rob Schaffer stopped in to check on us on his way home from Soar the Shore, a PPG event at Cambell field - 9VG. My main concern were our two vehicles that were moved to the hangar so a wheelchair ramp could be installed in our garage. Rob and I headed to the airport and I have to say I was a bit anxious. While it felt great passing through the tenant gate it really hit home as we pulled up to my hangar F7. Rob picked up on my emotions and took the cars for a drive while I sat and absorbed the airport sounds. I was overwhelmed, it all felt so out of place to me. Mary and I had big plans for flying in September. Sanibel Island Florida vacation with a day trip to Key West, followed by BACFest in Louisville Kentucky. It's an emotional roller coaster thinking of what should have been and instead dealing with trying to get back to some sort of normal. More of the same, recovery Mode. 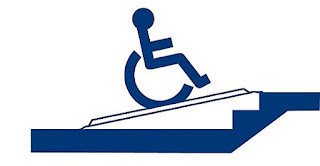 I am making progress with my mobility issues and slowly increase my weight bearing on the right leg. I hope to be using a cane by November. The airport manager discovers he has my iPad mini 3 and returns it to me along with the ACK ELT and my flight log I keep in the plane to document oil added and flight times. NTSB confirms they have my Garmin VIRB and will return it after the findings are finalized on the investigation. NTSB begins the engine investigation on November 7th. What a coincidence, this is also our 14th wedding anniversary. Initial findings is a catastrophic engine failure due to the number three cylinder eating an exhaust valve and taking out the piston along with wedging the intake valve open with the debris. Stay tuned for a Vlog and blog post. I am getting around using a cane, its slow and kind of steady. I hope the body pain subsides. I was used to my arthritic knee and back pains prior to the accident, and functioned everyday, but this constant pain is a whole new world to deal with. Thanksgiving is spent at home, just me and my bride. It was quiet and cozy, a good time together. Candy makes a return to Ocean City with her husband Mark. 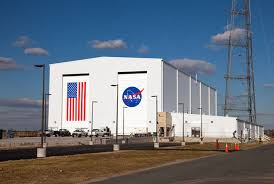 We had a blast checking out different places here in Ocean City and took a tour of the Wallops Flight Facility. Mary and I got to try out a few new to us places, Tall Tales Brewing Company and Burley Oak Brewing Company. During the week we also checked out the Ocean City Winterfest of Lights. A beautiful display and a fun ride on the boardwalk shuttle. Mary and I plan to head north, by ground transportation, to visit family and friends for Christmas. We are looking forward to 2019 and all the fun and adventure it has to offer. Mary and I had an awesome week with our friends Mark and Candy from Austin, Texas. 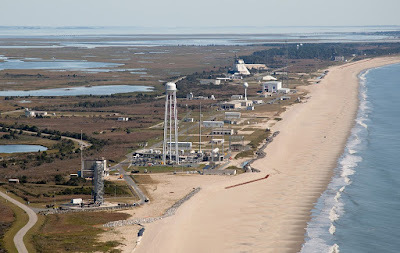 I mentioned in the Wallops post some of the places we visited in and around Ocean City. Of course we did the home tours and fun drives checking out some of the small towns and places of interest. Mary and I had our picture taken with Santa at the Winterfest of Lights and Mrs. Claus (our neighbor Lisa) made a special stop before heading to the Santa village to take a few pictures with us. It was a busy week but we also took some time to just kick back. I enjoyed cooking breakfast for more than just myself, since Mary usually does yogurt. We explored the local brewing companies and a few restaurants, each providing a good time, good meal and many laughs. At the end of the day we would unwind with the zoo and enjoy each others company. Mary and I are looking forward to the next time we can meet up, maybe we'll be flying to Austin! The day has finally come to step beyond talking the talk and now walk the walk. Candy and Mark G are in town visiting this week from Austin, Texas. Candy spent six weeks here with Mary and I following our airplane 'adventure' back in June. Mark held the fort down at home including the three cats and dog, truly a team effort on their part to help us through our toughest times. 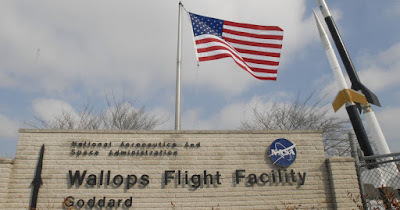 I wanted to get a tour to Wallops squeezed in. I knew Mark and I would enjoy the tour and after a long day I was happy to see that both brides did as well. We were up early and I made breakfast for everyone. Everything bagels with bacon, cheese, and an egg. They were yummy! 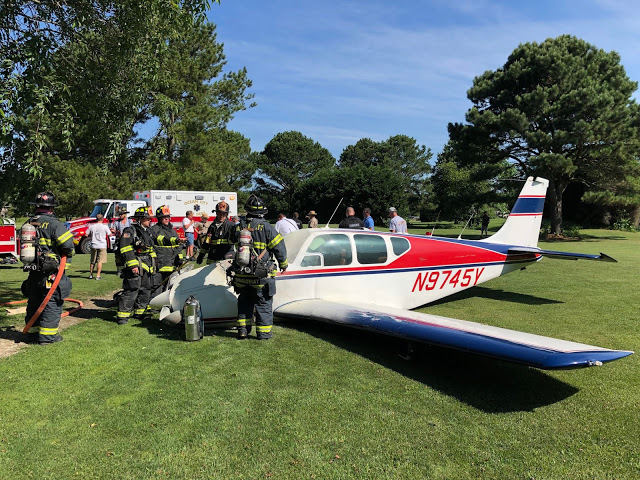 We met at the recreation center on the north side of Ocean Pines to board a tour bus that provided a comfortable ride to and from the flight facility. The one way trip was about fifty miles and about an hour long. We made a stop at the visitor center and picked up our tour guide for the day. 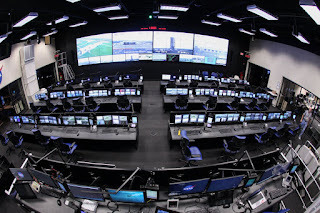 Our first stop was to the control center where workers were simulating a prelaunch countdown. Multiple security issues to contend with and the vehicle launch itself kept the folks busy. Our guide did a great job explaining about the control room and the side rooms and their function during launch. Our next stop was at the machine shop. 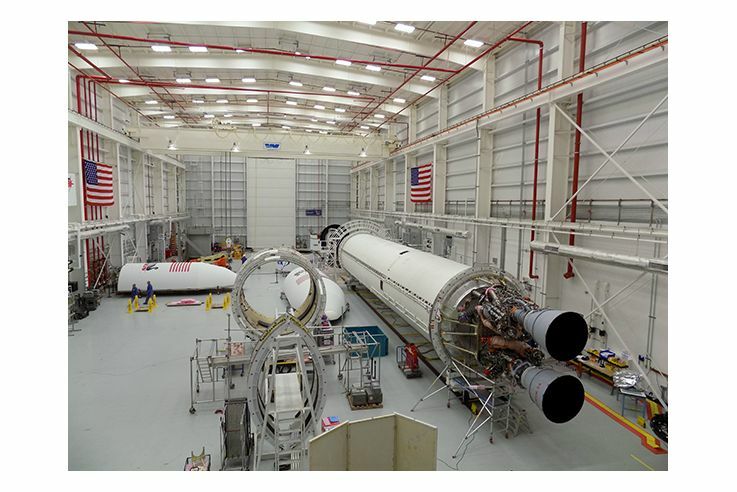 All the work done at the shop is custom, no two payloads are the same. 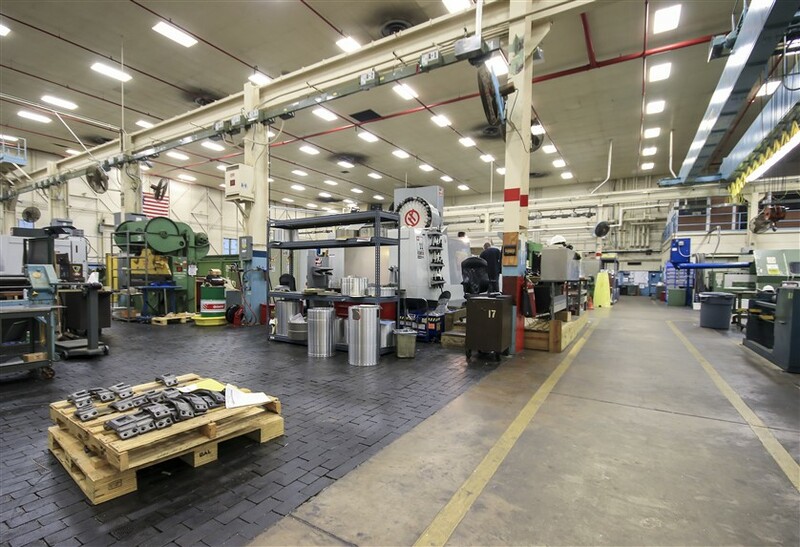 The machine shop included CNC milling machines, lathes, welders, sheet metal breaks, shears, rollers and additional tools and processes to support the mechanical needs of the current program. A waterjet cutting machine enables fast manufacturing of small parts in large quantities. The waterjet can make specific pieces as small as you can imagine. The operator shared his favorite, a mini, no micro pair of functioning tweezers that would fit on your thumbnail and the best part of the tweezers was the logo inscribed on the piece. Absolutely amazing. 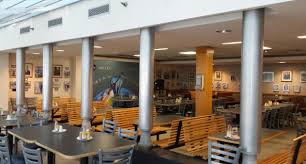 The group took a break and headed to the Lunch Pad Café to join the work force and eat lunch at a great price. After our lunch we once again boarded the bus for the Horizontal Integration Building (HIF) tour. We had to put on special lab coats to reduce static electricity and also had to leave all cell phones, key fobs or anything that transmitted an RF signal. 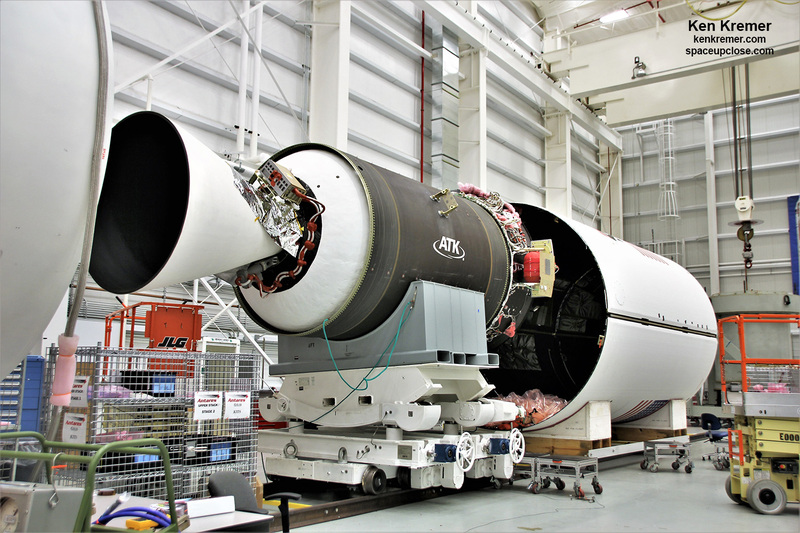 The HIF currently had one Antares rocket inside with the two new style engines hung and the first stage nearing completion. The facility manager gave a great presentation about the systems, fail safes and process. 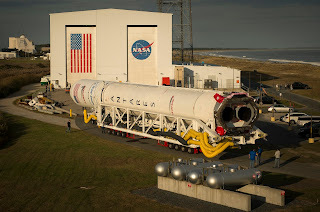 The manager detailed events from receiving the rocket to final assembly and prep for loading on the special vehicle that transports the rocket to the pad. 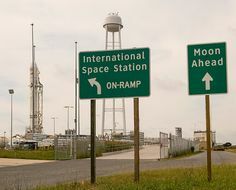 The next part of the tour took us out to the launch pads, out on the island. There are multiple launch pads, 0A and 0B. The next portion of our visit was again, just a drive by. The guide explained the type of training that is ongoing at the Surface Combat Systems Center. 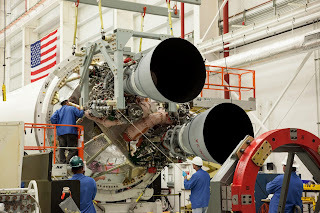 The Navy trains for the Zumwalt class Destroyers, Arleigh Burke-class destroyers equipped with the Aegis combat systems and The Gerald R. Ford class Aircraft Carrier. We also had a brief view of the flight line and some of the aircraft that Wallops utilizes. 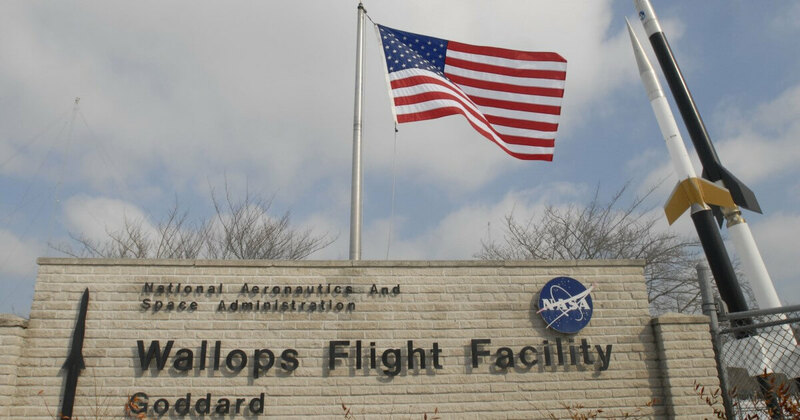 Here is a list of the Wallops fleet. First up is the P-3, currently used for Operation Icebridge. There were also a few planes on the ramp that are used for spare parts. We passed a few C23 Sherpa's parked on the flight line and a C130. The latest addition to the hangar is NASA's Global Hawk 872. We didn't get to see it but I found a picture online. Les G from the Beech Aero Club sent me a private message on the club web page to let me know he would be shooting some approaches into OXB on Sunday. This sounded like a great chance to catch up and see his freshly painted Sundowner and the new interior. The plan was to meet at 10:30, this would work out just right. 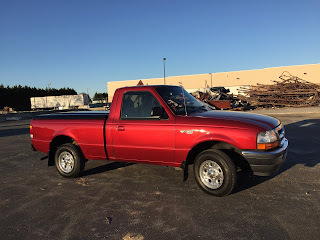 I had swapped text messages with a young man who was interested in our 98 Ranger pick up. Mary and I needed to go through our decorations that we keep stored in the hangar so we planned to meet the potential buyer at 9:30. As Les was landing the young man and his father pulled up to the hangar. By this time I had reconnected the trickle charger and was closing the hangar door. You guessed it, I had built up a bit of attitude having to wait and now reopen and unhook everything while getting around on a cane. I was getting tired and I was absolutely getting irritable. I gave the young man the keys and told him look it over and test drive it around the hangars, we had to pick up the pilot that just landed, we'll be right back. Yes, he is familiar with airport ops and driving on the airfield. Mary and I drove up to meet Les and admire his Sundowner. 08Lima was beautiful! Fresh paint, new interior and a new avionics panel full of goodies. Honestly, it tugged at my heart just putting my hand on the cowling, I miss 08Romeo. Les jumped in the SUV and we headed back to the hangar to finish up the truck deal, or so I thought. I should have been thankful that he pulled the truck back in the hangar even though it was not backed in (how he found it when he got in) so it could be reconnected to the charger and that he was trying to close up my hangar. Unfortunately neither gesture erased the fact that he was an hour late showing up and that I was now dealing with pain in my leg and ankle. I got out and asked him to stop closing the door, that I would button up. While he and his dad talked I opened the door, repositioned the truck, hooked up the charger and then we talked. The offer was just under my minimum for the truck, and that was ok, but he took it a few steps to far. I had offered to have the windshield replaced due to a stone chip in the top left hand corner, just to open the deal. The youngster replied with "well you know it's an old truck" Well, yea, that's obvious, insert first eye roll. I was then asked to have the truck reinspected at my cost (the truck is currently inspected until 2020). Without hesitation I said that doesn't work for me but I'll talk it over with my bride. Mary got out of our SUV and I let her know what he offered and wanted me to do. I love my bride, she immediately said no and turned back towards the SUV. There you have it guys, thanks for stopping out, have a nice day. I didn't counter, I wasn't in the mood to horse trade. I just wanted to head out for breakfast. Mary dropped Les and I off at the new Assateague diner and then she headed out to do some shopping. We enjoyed breakfast and chatting about airplanes, flying, and the world at large. I needed that pilot time, it was fun, and I miss the interaction with fellow pilots and BAC members. I was happy to get back home and prop the leg up. 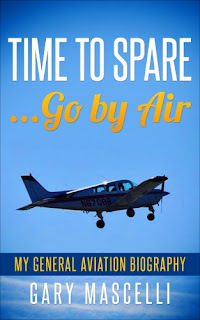 I am an avid reader of many flying forums and have posted about topics I find interesting or shed light on a training scenario. The following post comes from the AOPA Forum, Cloud Busters. I have a question that I'm not sure has a standard answer, so I thought I'd ask around and see what everyone does. I'm basically wondering how and when you get everything set up and organized for an approach (with GPS, just because I have one and it plays into the question). So basically, when (I'm assuming by position, ie distance from the IAF, FAF, etc.) and in what order do you brief the approach, check ATIS, load the approach, activate it, etc. I would love to hear what other IFR pilots do and I'll share my process. You have a good idea of the weather and winds at your destination so you should have reviewed the appropriate approach plates the night before. I pick up the ATIS report as far out as possible. I want to have the info noted and be aware of what runways may be in use. I also like to report that I have the current ATIS when I check in with the last approach controller. I run my mnemonic WIRE, to get things set up. Typically I select a full approach, despite having previously tasted the forbidden fruit of vectors to final. If vectors, I select the approach for the specific runway and approach that I am told to expect and fly the heading bug vectors as directed. If cleared to a specific Initial Approach Fix or Intermediate Fix I will select and activate instruments accordingly. Review your plate and know your aircrafts numbers. Run that pre-landing check list and make a sweet landing. The key component is know your equipment . Know how to activate specific legs of an approach, or how to select another approach and activate on the go. What's your back up, your plan B? I miss flying and all the prep that goes into each flight. I am trying to keep in the game so when the times comes to attempt climbing back aboard the mental skills will still be sharp. I can't believe the leaves are starting to change, where did summer go? I'm sure missing the leaf peep missions. This evening I reached a milestone, yes, a significant event in my life. Today the wheel chair ramp was removed from our garage that provided access to the house. I haven't used my wheel chair for almost a week and decided if I am to continue with my progress I need to cut all ties with the wheels. It's been difficult standing and walking for long periods of time when cooking or trying to help feed the zoo. I have gradually built up my strength and endurance and felt it was time to literally take the next step. I have also started Physical Therapy outside the home. The local company Fysical Therapy and Balance Centers has been an interesting experience. After an initial evaluation I started in on getting the ankle to loosen up, extending the range of motion to make walking more normal. I laughed, my walking more normal? Well, I'll give it a go. After a few rounds of various exercises with heat treatments mixed in, I moved on to a treadmill. Not your typical treadmill, this was an anti-gravity machine. This nice young lady brings me out a pair of shorts that look like a divers wet suit. There was a zipper around the waste and I was totally confused. I asked if I was diving for sunken treasure, the two young assistants just gave a weird look, the forty year old started laughing and motioned for me to start heading towards the machine. Once zippered in, the machine calculated my weight. The trainer dialed in 30% of my body weight and then the machine aired up. It was a strange feeling lifting off the treadmill and then just slightly settling back down. The timer was set for just ten minutes on my initial go, and off I went. My gait was 'normal' and I felt no pain. The next machine was a recumbent stepper. I really liked this machine. 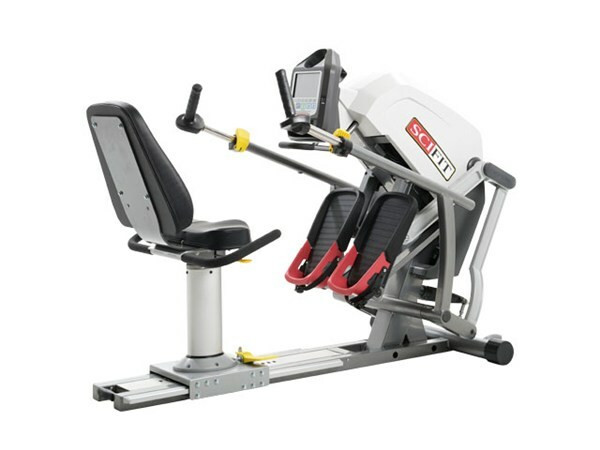 You get the cardio with the stepper and arm rail movement. Again, no pain, easy on my right hip and very smooth. I think I did five or ten minutes on this one to end my session for the day. I'm looking forward to getting back on this machine and really working out. Tonight I decided to check into the American Bonanza Society (ABS) Bonanza / Baron Landing Gear Systems and Maintenance Webinar. While I no longer have the Debonair, I do want to keep current on maintenance of the systems. You never know, maybe there will be another Deb or Bo in my future. The webinar was hosted by Tom Turner of the ABS Air Safety Foundation and the keynote speaker was Bob Ripley, Senior ABS Technical Advisor - ABS Air Safety Foundation. The topics for tonight's presentation. The webinar gave a good look at the internals of the gear motor and Bob provided his expertise on the unit and inspection process. The discussion also detailed the inspection process dealing with tensions and clearances. Excellent information and reference for the annual inspection process. The one critical take-away was in the pre-flight process. Now I'll preface this with the statement that I was the last person to stow the manual crank handle and cover it. However, Bob insisted that each preflight should be a physical check that the manual hand crank can be unstowed properly prior to start. 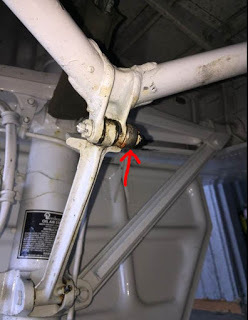 If you can't unstow the crank, DON'T fly the airplane. When I did my transition training the owner walked me through a very extensive pre-flight process. I was happy to see that what I inspected was what the webinar detailed. This is a glimpse of the POH preflight check, note 7a. The nose and right main gear didn't provide much more. This was my typical inspection for each gear.